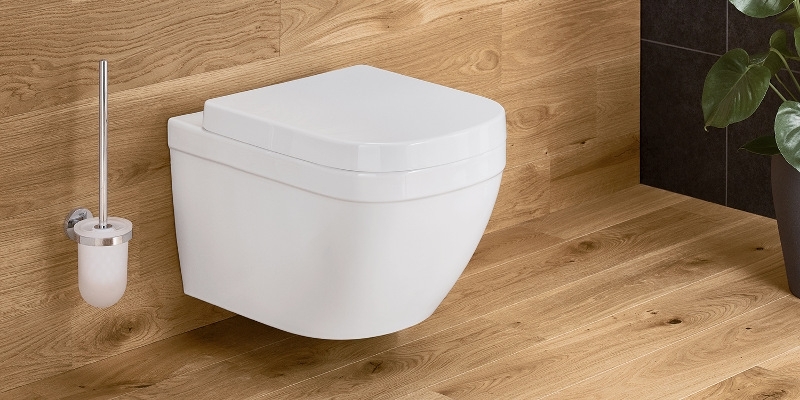 What started with the introduction of the Sensia Arena shower toilet is now being taken a step further: GROHE has introduced ceramics to its product range. This means GROHE is now a full-range supplier for the bathroom and offers you a perfectly harmonious design. 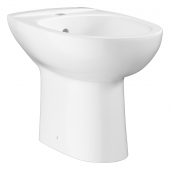 GROHE is part of the Lixil Group and can take advantage of their 100 years of experience in the production of ceramics. This always ensures top quality. Together with GROHE's 100 years of experience, this creates a quality combination that is reflected in the products. 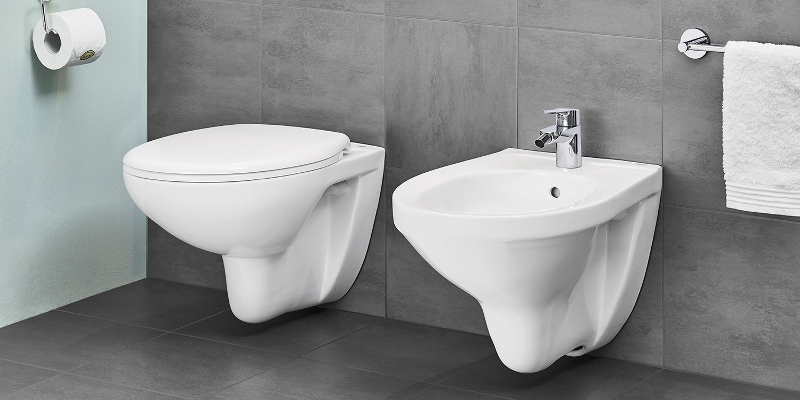 The aim is to create a perfectly harmonious combination of washbasins and faucets that do not splash when in use and provide enough space for washing hands. 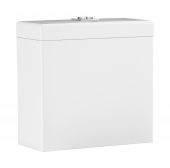 GROHE gives 5 years manufacturer warranty on all ceramic products. 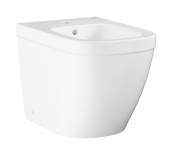 The design of the Bau ceramics is simple and universal. The smooth and rounded shapes blend discreetly into the rest of the interior design. 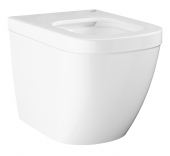 Nevertheless, use of this new ceramic Bau ceramics does not forego the comfort and hygiene of a rimless toilet. 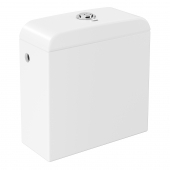 The QuickRelease function is also built into all toilet seats, and the SoftClosing feature can be selected as an option. 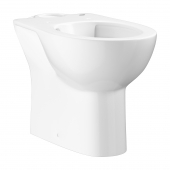 The Bau Ceramics range includes washbasins, columns for washbasins, toilets and bidets, toilet seats, cisterns and urinals. 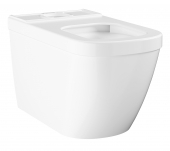 A practical toilet set is also available, with the seat supplied as standard. 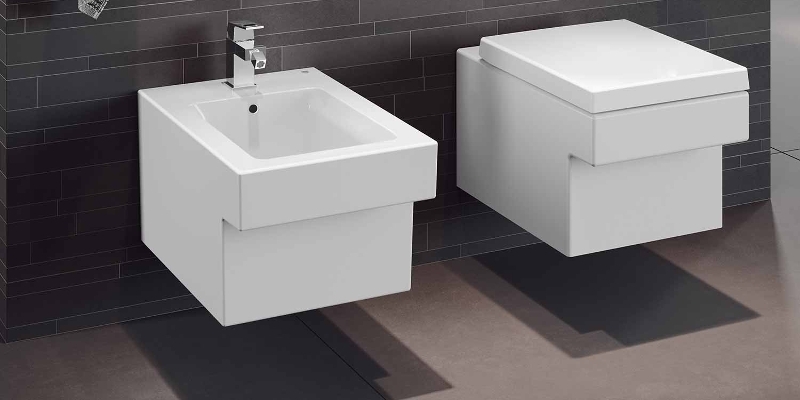 As a perfect match to the washbasins, GROHE provides Bau Cosmopolitan faucet lines series, the accessories of the Bau Cosmopolitan series and the Nova Cosmopolitan flushing plates. 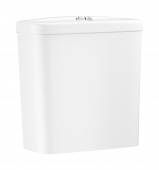 Euro ceramics belong to mid-range price segments and offer washbasins, including a mini washbasin, columns for washbasins, toilets and bidets, cisterns and toilet seats. All elements are presented in uniquely curved shapes and adapt perfectly to your personal style of living. 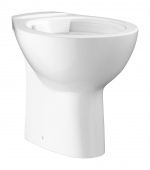 Rimless toilets come standard with Triple Vortex flushing (except the stand-alone toilets) and QuickRelease toilet seat. Further options are the PureGuard coating and the SoftClosing toilet seat. 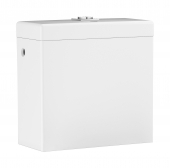 As a perfect match, GROHE indicates the Euro lines such as Eurosmart and Eurostyle as well as Cosmopolitan. 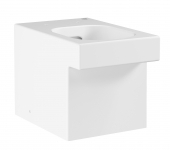 The Cube ceramics are inspired by the cubism with a square and modern design. The clear lines and right angles create a minimalist style. 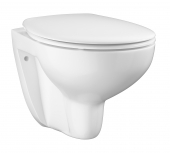 The rimless toilets of this more sophisticated range are equipped with many GROHE technologies: PureGuard, Triple Vortex flush, SoftClose toilet seat and QuickRelease. The Cube ceramic series includes washbasins in several different designs, such as washbasins with top units and built-in washbasins, wall-mounted and free-standing toilets and bidets, cisterns and toilet seats. As a perfect match, GROHE offers the faucet lines Allure, Allure Brilliant, Eurocube and Linear.